I told myself after I found out (it was a couple of days after, so ashamed), “look, don’t get fancy with it, don’t try to save the world, you’ve mostly already missed the newsiness of it, so just push out a quick moment of silence and use that awesome picture of him posing in front of the holy unholy War Eagle Theater at the premiere of I Walk The Line, and have some links to the old stuff you’ve already done on him.” (His was one of our first profiles. I actually think it was the first thing Ben wrote for TWER, which seemed apropos and still does. 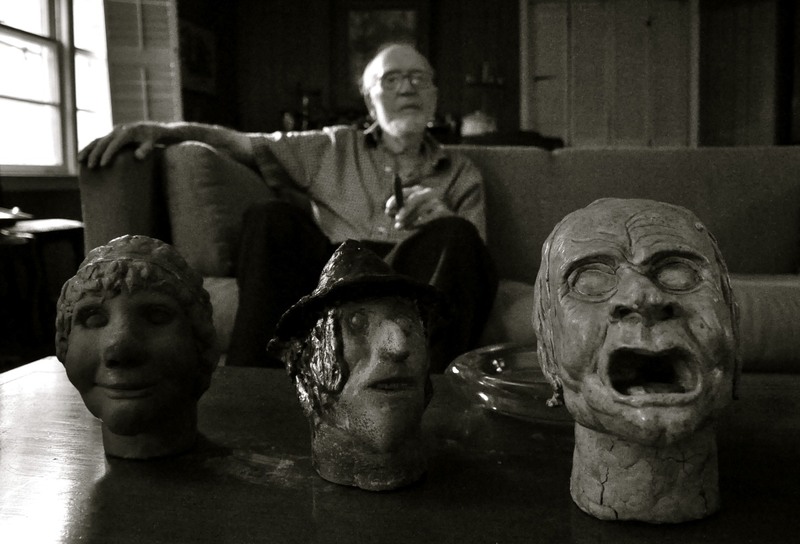 And my first instinct was to just post a gallery of all the insane pottery figurines he’d made that I photographed when I interviewed him at his house in March 2008 for a story I never wrote for East Alabama Living Magazine. But I can’t find them. It’s killing me.) And yet here I am still, weeks later, outside at 11 pm with a Swisher Sweet cigar (we had the same brand, so proud), some Auburn bug chasing this sweaty sentence across the sweaty screen, hoping that the Auburn tree frogs and the Auburn crickets will dampen the Auburn Twitter alerts, and inspire with their so very southerness some final tribute of truth about Madison Jones and what he meant to my Auburn. 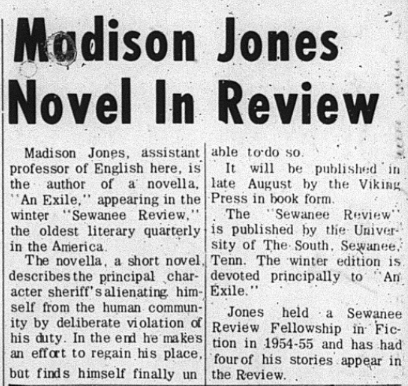 Primer: Madison Jones was the last practitioner of a now extinct literary religion, Agrarianism, a movement whose significance I’m not smart enough to really grasp, but it’s an important-sounding name for a literary movement that I’m sure it deserved. (Wikipedia doesn’t include him in the group proper, but links him as an “associate.” But Robert Penn Warren, the star, was all about him, and he studied under another one, Andrew Lytle, who stayed with Jones when Dean Cater brought him to Auburn to speak in the 60s.) I’m not well-read enough enough to know where he should rank in the pantheon of great southern writers, great American writer (but Allen Tate, another one of the Agrarians, called him a ‘southern Thomas Hardy,’ and he had a book written about him—that has to be worth something)…and sometimes I do that thing where you wonder whether you’ve labeled someone a genius because they are and you’re good at spotting geniuses or maybe just because they’re your friend…. whether or not your real or perceived connection with them shapes your appreciation of their work significantly beyond the common experience. 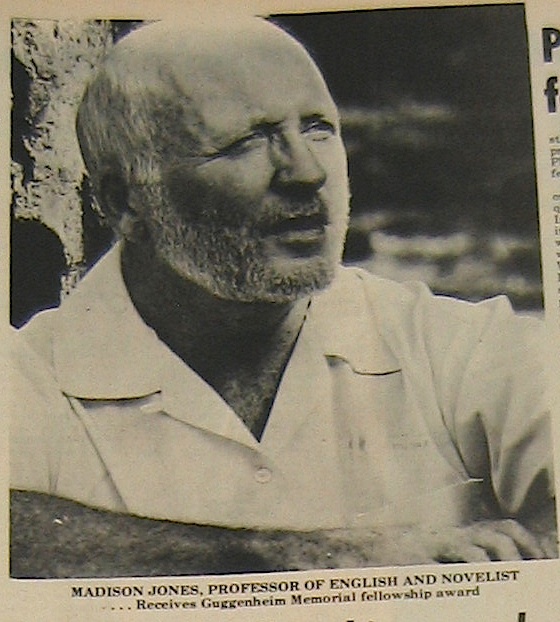 But I know—because it’s asterisked to everything ever written about him—that at least one of the folks all the shoutin’s about, Flannery O’Connor, said that Madison Jones, was “better than the folks all the shoutin’s about.” And he was ours. 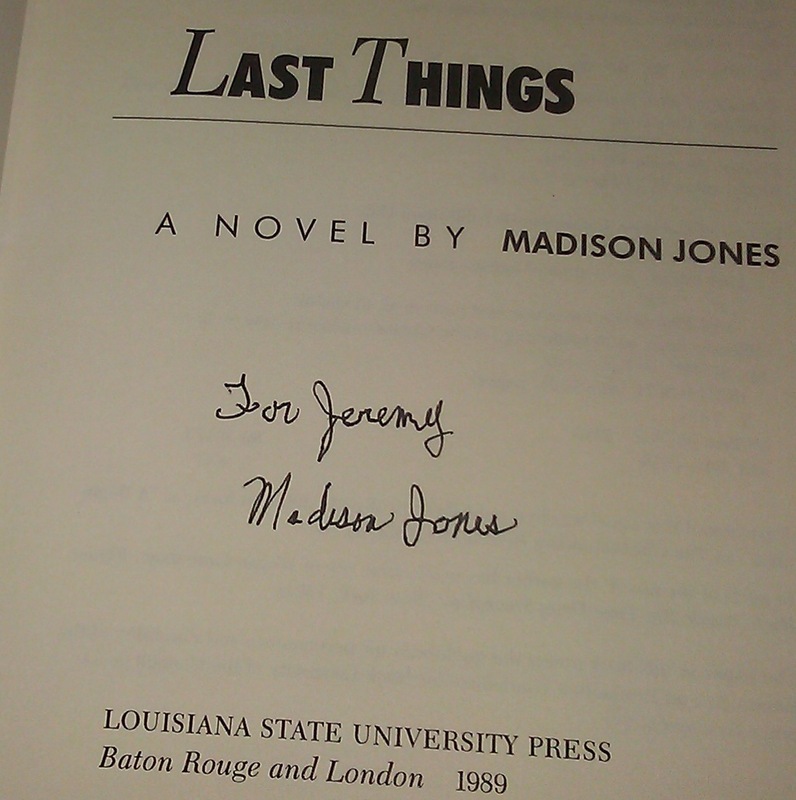 Each time I pick up one of his books–and they all have just these great covers–I look at the date and I imagine that guy with that awesome writer name doing all this stuff, winning all these awards, in Auburn 1969, in Auburn 1972, in Auburn 1989 and it makes the memories I’ve borrowed as a 33-year old absolutely obsessed with stuff in Auburn in all those years—because it’s the stuff my grandparents came from, my parents came from, the stuff I came from—even fuller, more vivid, more tragic (and therefore less tragic). Up until July 9th, I knew there was some guy in Auburn smoking (pipe, cigar, cigarette–just smoking) and looking just as intellectual and deep as any writer ever had in any southern college town, a real man of letters—important letters: ol’ Flannery supposedly mailed him a peacock—that could really win us some games, someone who was reporting from a deeper, darker dimension—some sort of 1970s Southern Narnia hidden in the Cary Woods kudzu and populated with sinister yet sensitive shanty tramps and one-armed preachers (like the one my Dad wrote about in Jones’ short story class) and who if written into the homogenized hell of 2012 would march allegorically to Cracker Barrel and overturn the giant checkers boards, or whatever. You knew there was a really articulate guy, a really articulate man who still believed that deep down the south was still special, a country unto itself, whether it is or not. When Madison Jones died in July (he was 87), his son told the Opelika-Auburn News that “he was a gentleman who lived in a world he created.” Sometimes that world had an Auburn zip code. The first time I met him, I told him that Last Things was my favorite, and he told me, yes, you’re right, there is a little Auburn in it–my Auburn. 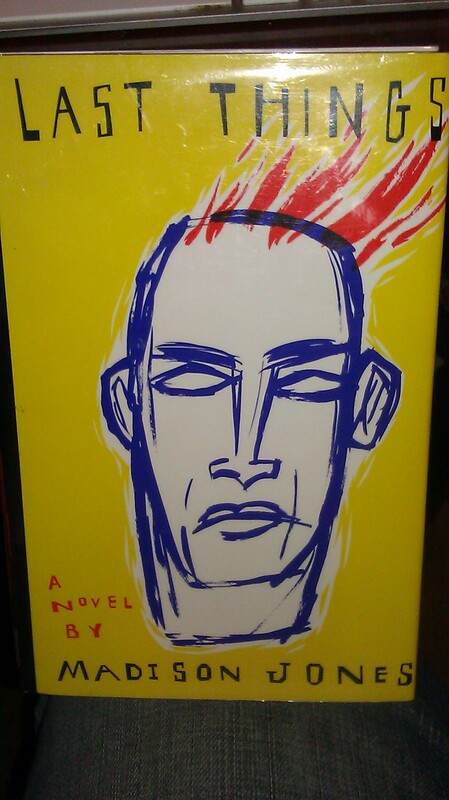 He told me it was the hardest, most complicated book for him to write. I took that as a huge compliment. Here’s Ben’s review of A Cry of Absence, one of his best. TWER photo by Marybeth Manifold. 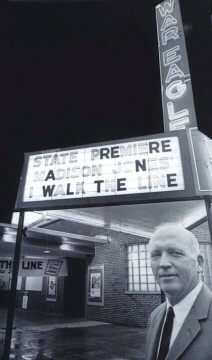 ‘I Walk The Line’ premiere photo courtesy AU Archives. 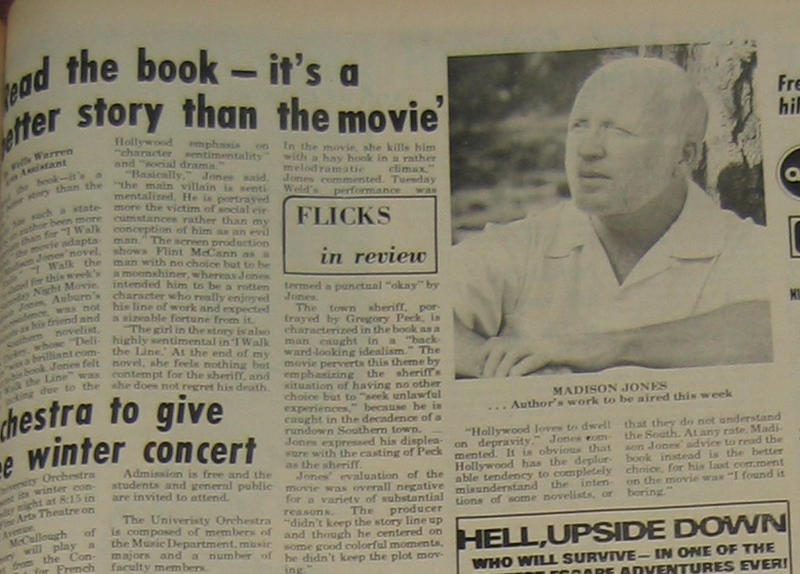 I thoroughly enjoyed reading your article on Mr Jones having had no knowlege of him prior. I can see how he must have influenced you. You writing about him was a pleasure to read for its content and character. It came to my attention while researching why my daughter should look at Auburn for a Creative Writing degree. Again, thank you for your piece. Thanks Bill, Alice — really appreciate it. And send your daughter here. She’ll love it.